The pro-Palestinian website Electronic Intifada recently provided a grand example of historic revisionism and the cherry-picking of information to cast CAIR – the Council on American-Islamic Relations – as the victim of a baseless "blacklisting" by the FBI. The FBI's 2008 decision to cut off non-investigative interaction with CAIR is based on "tenuous" and "flimsy" evidence tying CAIR to a terror-support network in America, writes Charlotte Silver. In an interesting twist, Silver links to court exhibits and other documents posted on the Investigative Project on Terrorism website for background. By showing she knows how to find the material, Silver betrays her method of mentioning only those documents which advance her argument, while ignoring damning facts which destroy the entire piece. A thick paper trail places CAIR and its two key founders in a Hamas-support network operating in the United States. The founders' previous venture was another branch of that network, one which published Hamas communiques and which a federal judge found was in sync with Hamas terrorists. "Based on flimsy evidence, the FBI has sabotaged efforts to be on good terms with Muslim communities in the US by accusing the Council on American-Islamic Relations (CAIR) of being linked to a 'terrorist organization.'" So not trusting CAIR due to its known ties to Hamas means sabotaging relations with all Muslim Americans? Talk about flimsy and tenuous. Gauging the true depth of CAIR's support among Muslim Americans is difficult – it failed to file the 990 tax returns required of non-profits from 2008-2010, and the reports that have been released offer no membership figures. The Washington Times reported in 2007 that CAIR had 1,700 members. A 2011 Gallup poll found that less than 12 percent of American Muslims felt CAIR represents their interests. How you get from there to the Silver's claim that the FBI policy on CAIR sabotaging good relations with "Muslim communities in the US" is a mystery. Silver's article appears to be a reaction to a Justice Department Inspector General's September report on violations of the FBI policy banning most interaction with CAIR and its officials. The policy itself should have been examined, Silver writes. She cites a letter from the American Civil Liberties Union, which also casts the policy as part of "an untoward public campaign to vilify CAIR." Both the ACLU and Silver emphasize that CAIR has not been charged with any crimes. That's true. But the issue is not whether CAIR officials should be in prison, or should be free to operate. Rather, it is whether CAIR is an appropriate outreach partner deserving the prestige that comes with access to senior FBI officials. 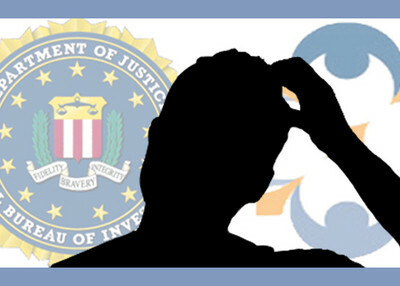 Just as we would hope that the FBI would shun a corporation found engaging in misleading and fraudulent activity, the Bureau looked at the evidence gathered by its own agents and determined that CAIR no longer could be seen as "appropriate liaison partner" due to unresolved questions "whether there continues to be a connection between CAIR or its executives and HAMAS." Contrary to Silver's dismissive assessment, that evidence for that conclusion was clear and compelling. It came from the horse's mouth. Internal documents seized by the FBI in the course of an investigation into the Dallas-based Holy Land Foundation show that the Muslim Brotherhood created a network of organizations in America to help Hamas politically and financially. It was called the Palestine Committee. Silver quotes CAIR spokesman Corey Saylor describing the Palestine Committee as "a group that existed in the early 1990s that seemed to have strengthening pro-Palestinian work at its core." That's a lie by omission. The committee was focused on pro-Palestinian work, but only a certain ideological aspect of that work. Internal reports and FBI eavesdropping on meetings and telephone calls show that Palestine Committee members were specifically loyal to Hamas. In fact, the original Palestine Committee entities, those before CAIR, were created by Mousa Abu Marzook, a senior Hamas official at the time who remains influential within the terrorist group. Marzook was an Islamic Association for Palestine (IAP) board member. That is the group where Omar Ahmad and Nihad Awad worked before creating CAIR. Records show Marzook routed more than $750,000 to the IAP between 1985 and 1992. Marzook also created a think tank called the UASR in northern Virginia and staked the Holy Land Foundation with initial funding. He even designated the Holy Land Foundation as the official American fundraising arm for Hamas. She does refer to the 1993 meeting of Hamas supporters in Philadelphia called to discuss ways to derail U.S.-led peace-making efforts between Israelis and Palestinians. Those assembled weren't concerned with the details of the new agreement; rather, they were unhappy that it elevated the secular Palestine Liberation Organization to power in a new Palestinian Authority. This sidelined the Islamist Hamas movement. In addition, the deal was a big step toward Palestinian recognition of Israel's right to exist, something specifically opposed in the Hamas charter. "Participants in this two-day meeting allegedly expressed support for 'the Movement,' which the FBI interpreted as Hamas," Silver writes, "and opposition to the Oslo agreement between Israel and the Palestine Liberation Organization that had been formally signed only the month before." There is nothing alleged about it. Not only did the participants talk about "the Movement," they repeatedly mentioned Hamas by name. They were admonished after the first few references, and advised to refer instead to "Samah," which is Hamas spelled backward. CAIR founders Ahmad and Awad each followed this instruction, transcripts show. "By God, it seems that there are no principles ... No one left to protect the principles and believe in the principles other than Samah," Ahmad says. At another point in the two-day meeting, Awad discusses hypothetical situations. "If you hear of a false rumor, you want to discredit it, huh? If people need money, we would provide media coverage. We encourage people to donate to you. If there is a political issue, a Samah's input, for instance, about this or that, we inform people to contact their representatives..."
They also acknowledge the need to camouflage their true objectives, realizing that a direct recitation of their goals would marginalize them as terrorist supporters. Nothing in this conversation violates the law. But, as the 2009 FBI letter explaining the cut-off said, the relationship with, and clear support for Hamas, raise questions about whether CAIR is "an appropriate liaison partner." The presiding judge in the Holy Land case reviewed this evidence and more. He found that prosecutors provided "ample evidence" linking CAIR and other groups to Hamas. Again, Silver pretends that this never happened. In addition, the evidence shows that Omar Ahmad, CAIR's co-founder who spent years as its national chairman, was among the Palestine Committee's most influential members. He helped determine who would attend the Philadelphia meeting and was the one who called the gathering to order. The group also discussed creating a new political arm in Washington. Awad and Ahmad founded CAIR the following summer, and it immediately was placed under the Palestine Committee's umbrella. Silver's argument that CAIR is an innocent victim survives only if you pretend these things don't exist. CAIR isn't even the first Palestine Committee entity for which Awad and Ahmad worked. Each played prominent roles in the Islamic Association for Palestine (IAP), a group which held pro-Hamas rallies, published Hamas communiqués announcing attacks and distributed the virulently anti-Semitic Hamas charter. This booklet, published by the IAP, labels "The Jew" as "America's Greatest Enemy." Another IAP booklet, "The Jihad School," was devoted to the life of Izzedine al-Qassam, the father of modern Palestinian terrorism and the man for whom Hamas named its terrorist wing. "Al-Qassam knew Jihad is the only path to freedom," an FBI translation of the booklet says. "Rights are not given without a fight. Therefore, Al-Qassam spent the next seven years preparing for Jihad." In civil litigation, U.S. Magistrate Arlander Keys found "an abundance of evidence" that the "IAP…desired to help Hamas' activities succeed, and…engaged in some act of helping those activities succeed." He added, "If IAP has never outrightly cheered on Hamas' terrorist activities, it has come awfully close. Certainly, IAP has never condemned Hamas' tactics." Ahmad was IAP's president. Awad was its public relations director. CAIR has never acknowledged its Palestine Committee roots, never tried to argue that it since has abandoned the Hamas support activities of its founders and current executive director. If it cannot be honest and acknowledge the past, it should not be trusted by law enforcement as an honest broker going forward. CAIR's behavior since the policy was enacted raises its own questions about whether restoring FBI engagement should even be considered. 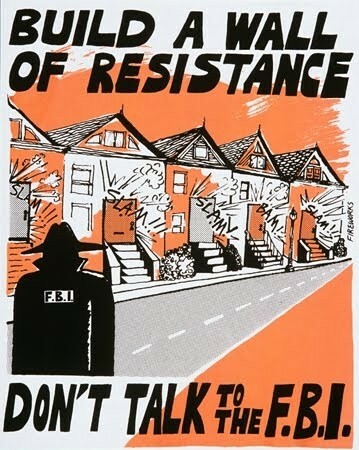 CAIR officials repeatedly cast the FBI as an out-of-control gang of jack-booted thugs, willing to do anything and everything to set up innocent Muslims. It's one thing to advise people of their rights to counsel when talking with the FBI. CAIR's message is one of fear and obstruction. CAIR drew the ire of Somali Muslims in Minneapolis for appearing to discourage people from helping stem a tide of young men disappearing from the Twin Cities, only to show up as new recruits for the increasingly brutal al-Shabaab terrorist group. It smeared those who tried to help as "anti-Muslim." In the end, CAIR remains an organization founded by people who were part of a vast Hamas-support network in America, crafted by Marzook – a man who remains a Hamas leader. CAIR has never owned up to this reality and continues to show that its leaders believe "war is deception." The notion that the FBI should ignore all this and cozy back up to the group isn't tenuous or flimsy. It is reckless, irresponsible and willfully blind.